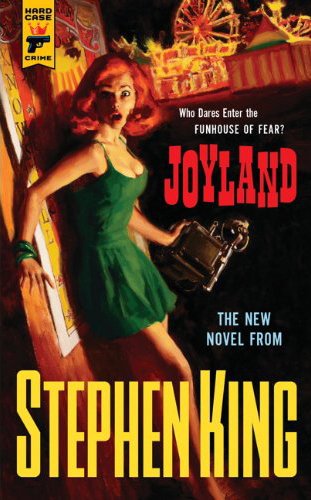 Stephen King’s latest novel Joyland is a Hard Case Crime murder mystery, featuring a college student who stumbles across an unsolved crime at a small amusement park. It’s also a coming-of-age story for the sensitive young man, Devon Jones, who takes a summer job at Joyland just as his relationship with his first girlfriend begins to fall apart. When they do break up, he buries his heartbreak in the hard work of the full-time carnies, staying on after the summer despite his father’s misgivings, and taking comfort in his successes there, which include being the best damn Howie Dog in costume around. Instead of treating it like the grueling, thankless job many people would probably imagine it to be, Devon buys into Joyland’s philosophy of “selling fun” in a way that’s endearing and admirable. Before long, he becomes curious about a supposed ghost in the Horror House ride, especially after a skeptical friend confesses to seeing it on the ride with him. A young girl was found murdered inside the ride and the killer was never found, leaving only glimpses of himself in the amusement park cameras. Devon’s friend Erin, who appears to be on the book cover – incongruously since she’s never in danger – does some research and discovers that several other amusement park murders have all gone unresolved. Around the same time, Devon befriends single mother Annie, who distracts him from his ex, and her son Mike, who has a telepathic gift. The clues from the killer’s photos and the boy’s cryptic hints lead Devon to determine the killer’s identity. The best parts of the book are Devon’s musings – especially since he is telling the story as an older man – which feel authentic and convey the angst of his age. King’s descriptions of the beach Devon walks each day to work and all the elaborate details of the fictional theme park are great. There is a very strong feel of nostalgia and sweetness that I enjoyed but that completely belies Hard Case’s usual style of book cover. The actual mystery is less impressive; rarely do I guess who the murderer is before it’s revealed, but I had a strong suspicion this time. 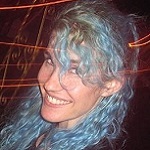 The story would have benefited from more of the ghost in the Horror House, perhaps in place of some of the flash-forward scenes where older Devon wraps up certain characters’ fates. It’s still an enjoyable page-turner with some interesting insight into the world of carnies. This entry was posted in Books, Miscellanious and tagged amusement parks, carnies, hard case crime, joyland, mystery, stephen king. Bookmark the permalink.